Tension headaches are the most common headaches for adults. They are described as a tightness, dull pain, and pressure around the forehead or the back of the head and neck. It’s been described as a vice squeezing the skull and often referred to as stress headaches. If you get these headaches, and have them less than fifteen days a month, they are considered episodic tension headaches. When the pain occurs on more than fifteen days, they are considered chronic. Tension headaches can last from a few minutes to a few days, and they usually begin gradually and in the middle of the day. The chronic tension headaches will come and go for longer periods of time with pain getting stronger, and then easing up throughout the day. Additionally, you may notice the headache is always there. Tension headaches usually never affect your balance, vision, or strength even though they hurt. Women are twice as likely to get tension headaches than men. 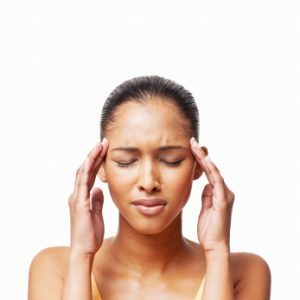 Approximately 80% of people get these headaches at times. Around 3% of individuals experience the chronic daily tension headaches. Episodic tension headaches occur no more than once or twice a month, but they can happen more often with most people. Chronic tension headache sufferers usually have them between 60 to 90 days and sometimes longer. Sometimes there is no clear cause of tension headaches. Headache which begins in the middle or late day. Pain that is mild to moderate in the front, sides or top of the head. Pain intensity. Severity of your headache is how much you’re able to function while you have it. Pain characteristics. Does your pain pulsate, is it sharp, dull, or stabbing pain? Computerized tomography (CT). A comprehensive view of the brain can be seen by a CT scan, which is a diagnostic imaging procedure that uses a series of computer-directed X-rays. Magnetic resonance imaging (MRI). An MRI scan combines a magnetic field, radio waves, and computer technology to produce clear images. Over-the-counter pain relievers are often used by people who want to treat their own headaches. Repeated usage of these medications may cause another type of headache. Here are a few over-the-counter and prescription medications available to reduce the pain of a headache. Pain relievers. Simple over-the-counter pain relievers are usually the first line of treatment for reducing headache pain. These include the drugs aspirin, ibuprofen (Advil, Motrin IB, others), and naproxen (Aleve). Prescription medications. include naproxen (Naprosyn), indomethacin (Indocin), and ketorolac (Ketorolac Tromethamine). Narcotics and Triptans. People who experience both migraines and episodic tension headaches many be given a triptan, which can relieve the pain of both headaches. Opiates, or narcotics, are rarely used because of their side effects and potential for dependency. Combination medications. Aspirin or acetaminophen or both are often combined with caffeine or a sedative drug in a single medication. Your Gilbert pain management doctor may prescribe medications to reduce the frequency and severity of attacks, such as antidepressants and muscle relaxants. Preventive medications may require several weeks or more to build up in your system before they take effect. Your doctor will monitor your treatment to see how the preventive medication is working. Don’t overuse other medication while using preventive med’s, they may clash and cause one or the other to not work. Alternative medicine may help in some cases. Acupuncture may provide temporary relief from chronic headache pain. Massage. Massage can help reduce stress and relieve tension. Deep breathing, behavior therapies, and biofeedback are all helpful alternative medicines.